Following a recent scandal involving Greenpeace activists and a Russian Arctic offshore platform, parliamentarians suggested punishing unauthorized entry to oil and gas installations on the continental shelf with up to five years in prison. According to the mass circulation daily, Izvestia, the amendments were prepared after Russian Prime Minister (and former board chairman of the natural gas giant Gazprom) Dmitry Medvedev proposed to tighten the security on Russian offshore installations and introduce stricter punishment for violators. 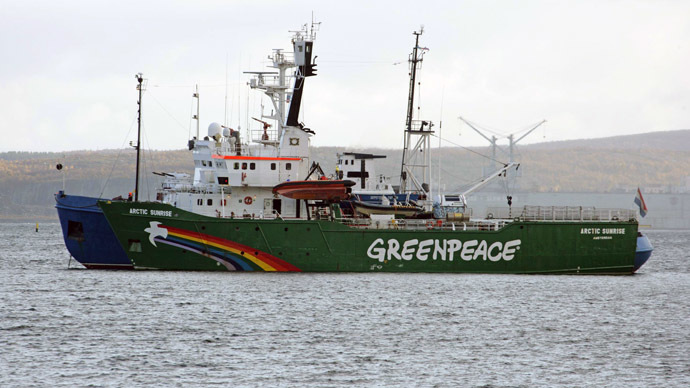 Medvedev’s statement was made in October 2013, shortly after the international environmental group Greenpeace provoked a scandal involving Gazprom and Russian border guards. 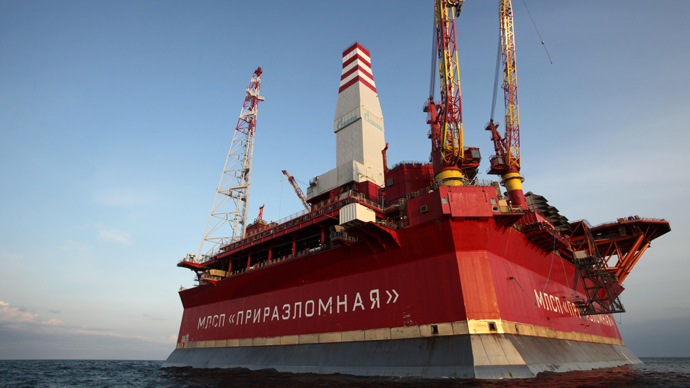 In September last year, a group of 28 Greenpeace activists and two freelance reporters attempted to board the Prirazlomnaya platform in a protest over the alleged threat to the Arctic environment caused by offshore oil and gas extraction. All 30 were arrested by the border guards, delivered to the Russian port of Murmansk and charged with sea piracy. 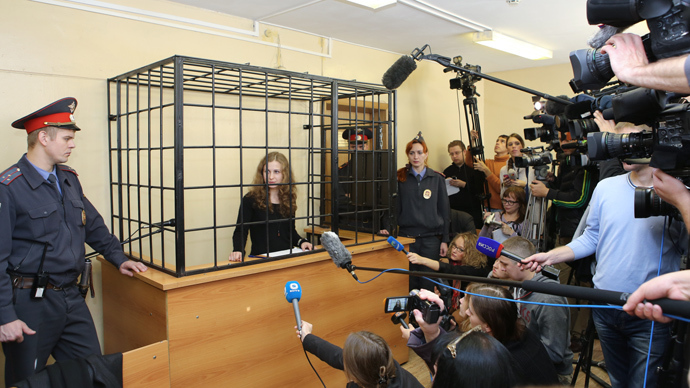 However, the charges were later changed to hooliganism and in late December dropped completely, under an amnesty announced in connection with the anniversary of the Russian constitution. According to the fresh amendments, unauthorized entry to any installation on a sea shelf becomes a separate criminal offense. If violators act in groups and plan their action in advance, as the Gazprom activists did, such action can carry up to five years in penal camps or the same period of compulsory community service. Inflicting bodily harm to workers can cost up to one year in prison or a fine amounting to six months’ worth of the violator’s income. The same bill also introduces fines for ship crews for illegally entering the three-mile safety zone around offshore platforms and artificial islands – up to 20,000 rubles ($650) for private persons and between 30,000 and 150,000 rubles for companies ($900 - $4500). Captains of breaching vessels also risk having their licenses suspended for a period from six months up to three years. According to the draft, the security zones around offshore installations must be set by owners and agreed with the Transport Ministry and Russia’s Federal Security Agency, the FSB. The document still needs approval from the Lower House’s legal department, but the head of the State Duma committee for transport legislation, Irakly Aslamazov, told Izvestia that he hoped that fellow MPs would vote on the new amendments as early as January. The newspaper also quoted unnamed sources in the Russian oil and gas industry saying that the new regulations were welcomed by all companies that run offshore projects. An oil and gas sector coordinator of the World Wildlife Fund, Aleksey Knizhnikov, told the newspaper that tightening the security on Russian offshore installations was foreseeable and that it was in line with international law. The activist added that the proposed measures would not obstruct environmental monitoring of such sites as this is conducted through aerial and satellite images.